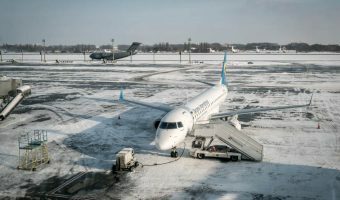 Until recently Kyiv International Airport (aka Zhulyany) offered mainly domestic flights and was of little relevance to most foreign visitors to Kiev. Things began to change in 2011 when budget airline Wizz Air transferred their operations here from Boryspil International Airport, the city’s main international gateway. Cheap flights to Kiev city centre suddenly became a reality. 2012 saw the opening of a new 150,000 square foot terminal, rapidly increasing the capacity of the airport. In the 9 months to September 2012 the airport served almost 600,000 passengers, up a whopping 76 percent on the previous year. Airlines operating from Kyiv International Airport include Wizz Air, UTair, Transaero, and AirOnix. When booking flights online, passengers should note that the IATA code for Kyiv International Airport is IEV. Passengers should also be aware that the cheap tickets offered by the budget airlines serving Zhulyany come at a price. Free baggage allowances are typically fairly low. Check the details when booking. Kyiv International Airport is much convenient than Boryspil. It’s located in the Zhulyany district of Kiev, just 5 miles south of the city centre (Boryspil is 19 miles from the centre). A taxi to Kiev city centre should cost around 50 UAH, around 20 percent of the cost of a taxi from Boryspil. Various buses and minibuses depart from outside the airport. Unless you speak good Russian or Ukrainian, or a very familiar with the city, it’s much better to get a taxi. The small amount of money you’ll save reaching your destination simply isn’t worth the hassle. Terminal A is the newer of the two terminals and serves international destinations. It offers several cafes and bars, a bank (with currency exchange and ATM), and a luggage wrapping service. The departure lounge, on the upper floor, offers several duty free shops, bars and restaurants, and a smoking room. Free wireless internet access is available in both terminals. Car rental companies Budget and Sixt operate from Kyiv International Airport. Map showing location of Kyiv International Airport. I’m going to Kiev by bus and then staying in the city for 3 days. Then I need to go to Zhulyany Airport. What is the best way to get there? I would get a taxi. It will only cost you about 50 or 60 UAH to get to Zhulyany Airport from Kiev city centre. There are cheaper ways but, presuming you can’t speak Russian or Ukrainian and don’t know the city, it will be the quickest and easiest way to get there. 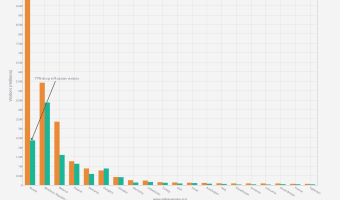 What are the closest subway stations to Zhulyany Airport? None, within easy travelling distance. I’m arriving at Kiev Zhulyany from Luton London at 10 pm. I imagine it will be at least 30 minutes before I clear customs and immigration. Will the currency exchange still be open and will I be able to exchange pounds? The currency exchange will be closed by the time you get through passport control. However, the cash machines will still be working. I presume you have UK bank cards. They will work in the ATMs. You will be able to withdraw Ukrainian money and pay for your taxi or whatever else you need it for. The next day you’ll be able to exchange your money for Ukrainian currency at one of the thousands of exchanges around the city. 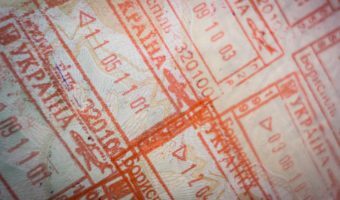 Find out whether you need a visa to visit Ukraine and how long you can stay for.